Bringing the best fried chicken and freshest farm ingredients, Yardbird has since garnered the praises of the James Beard Foundation as a semi-finalist for “Best New Restaurant South” and as one of Bon Appétit’s “50 Best New Restaurants” in 2012. Yardbird sticks to the values of tradition, family, and community with a menu of “soul-nurturing” dishes intended for sharing. A warm, comforting environment lets guests feel relaxed and at home while dining at Yardbird. Southern touches add to the nostalgia, like antique candlestick holders, wildflowers on all the tables, and handmade light fixtures outfitted withnEdison bulbs in Mason jars. 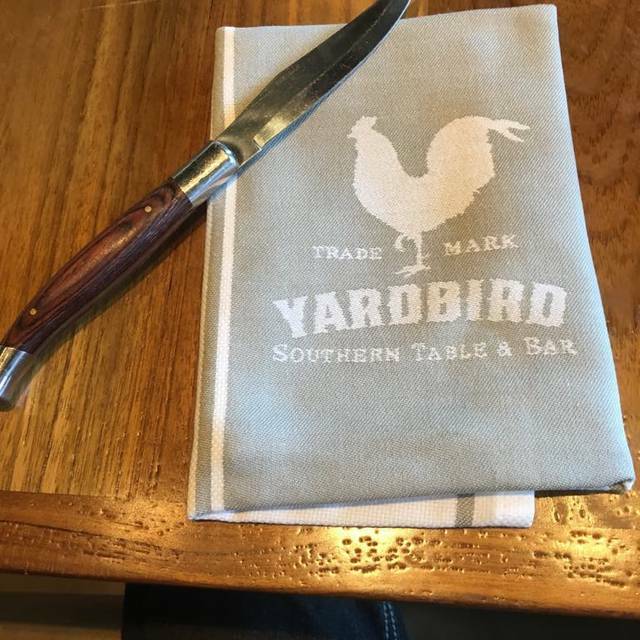 Reserve a table at Yardbird Southern Table & Bar - Los Angeles in Los Angeles on KAYAK. View information about Yardbird Southern Table & Bar - Los Angeles to help decide on what to eat. On KAYAK you can also explore 5 photos and 565 unbiased real reviews about Yardbird Southern Table & Bar - Los Angeles.